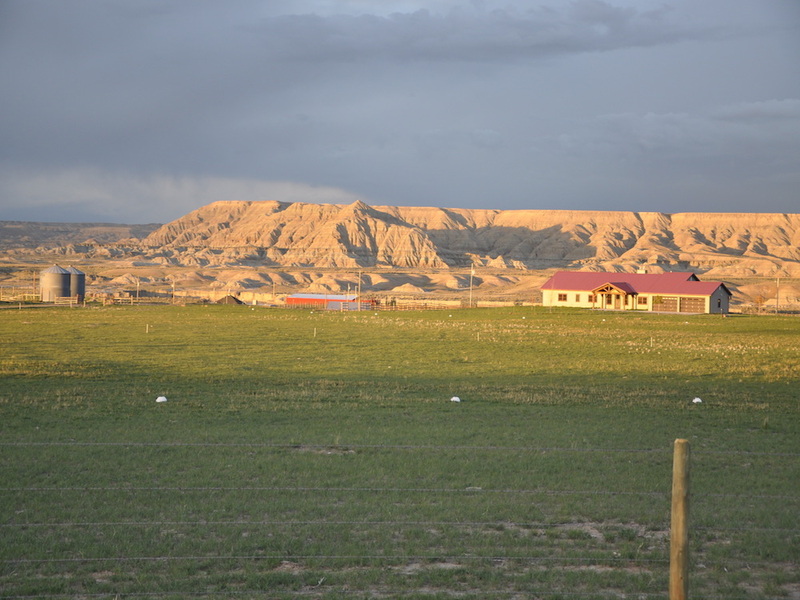 Located in southwest Wyoming, the JK Ranch represents a true working ranch with many unique attributes. Its setting along the Cottonwood Creek Bench boasts expansive views of the High Uinta Mountain Range while looking over the historic Bridger Valley. Due to the unique topography of the area, this private setting offers seclusion from any neighbors, yet is located just a few miles from the towns of Lyman and Mountain View offering an array of small town amenities. This property is being offer in cooperation with Live Water Properties. The auction will be held at 5443 Co Rd 254, Lyman, WY 82937. Ten percent (10%) down Auction Day with closing on or before July 6th. Certified funds in the amount of $50,000.00 for Parcel #1, $25,000.00 for Parcel #2, $35,000.00 for Parcel #3, $30,000.00 for Parcel #4, $15,000.00 for Parcel #5, $60,000.00 for Parcel #6, $10,000.00 for Parcel #7, and $100,000.00 for the entirety will be required to bid. The certified funds may be in the form of a Cashier’s Check made payable to the bidder, or a personal or company check with a Bank Letter. For a sale map, please review the map at that bottom of the main page. 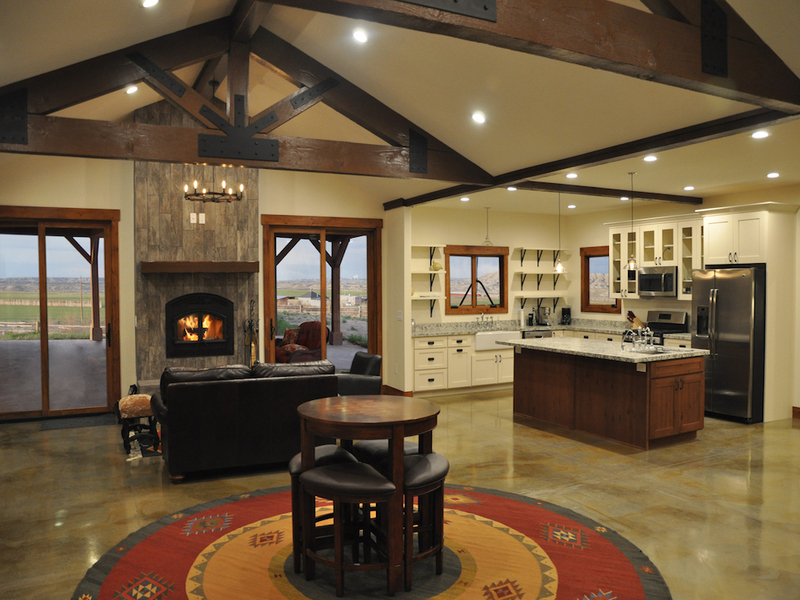 Located in southwest Wyoming, the JK Ranch represents a true working ranch with many unique attributes. Its setting along the Cottonwood Creek Bench boasts expansive views of the High Uinta Mountain Range while looking over the historic Bridger Valley. Due to the unique topography of the area, this private setting offers seclusion from any neighbors, yet is located just a few miles from the towns of Lyman and Mountain View offering an array of small town amenities. The JK Ranch is comprised of 2,272± deeded acres (according to Uinta County records) which are completely surrounded by BLM. Developed with production components in mind, the ranch owns and controls a 360± acre tract located southwest of the main ranch which is home to the 100± surface acre Reed Reservoir. With a permitted capacity of 1,076± acre feet of water, the reservoir is filled each year during spring runoff via Cottonwood and Sage Creeks which originate high in the Uinta Mountain Range. 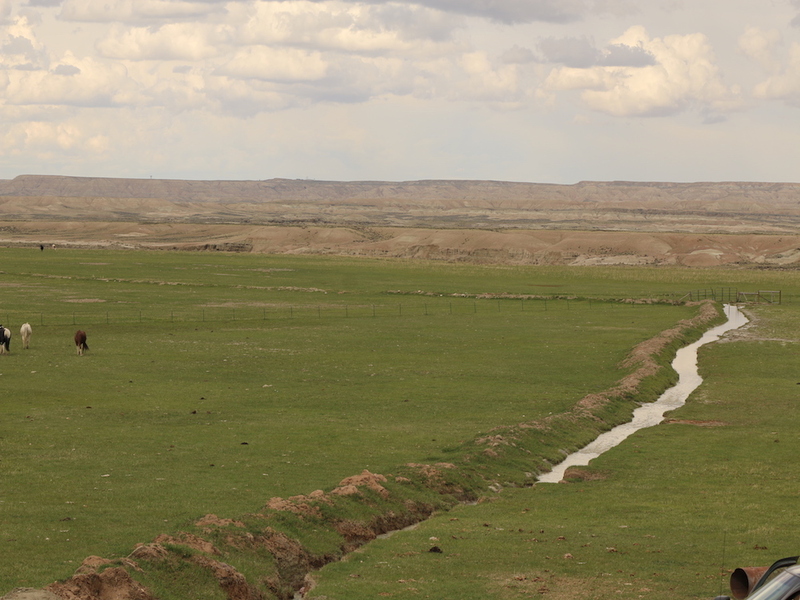 The water from the reservoir then flows through nine miles of BLM land before reaching the main headgate on the southernmost portion of the main ranch. From here it delivers water through a ditch to service four center pivots on the ranch irrigating 557± acres. There is an additional 200± acres which are irrigated by a combination of flooding and K-lines. 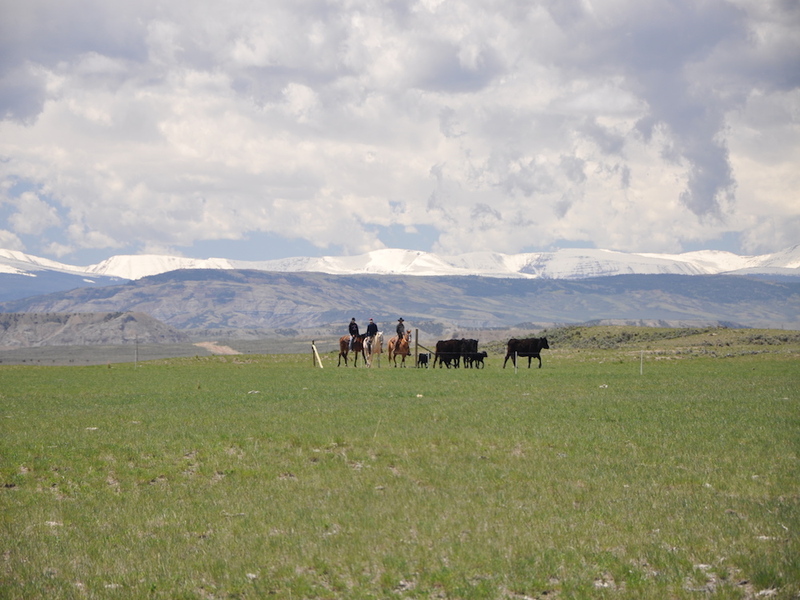 The ranch produces between 800-1,000± tons of protein rich, high altitude hay. If one were to fertilize the pivot acres, these yields could be increased significantly. *There is also the opportunity to develop more water on the ranch via a water right from the Smith’s Fork River. There is a buried pipeline which connects to the two center pivots to a pump station by the river. 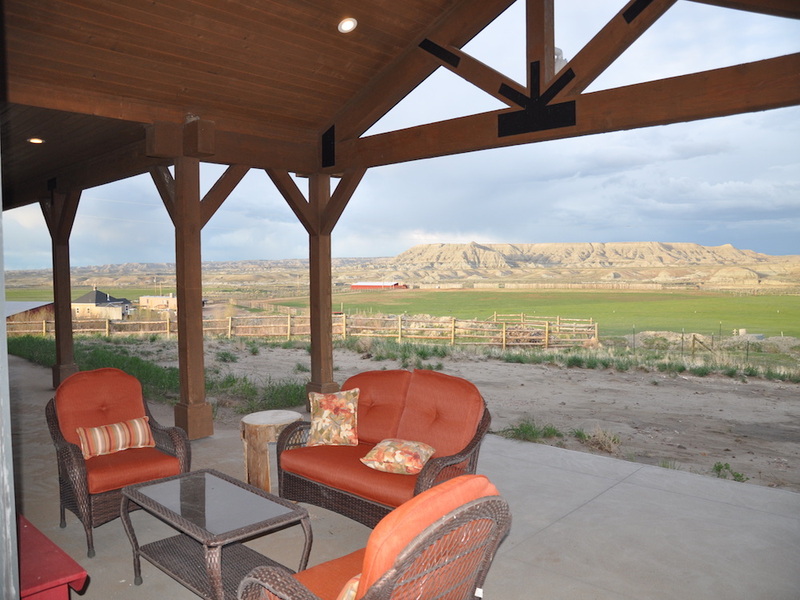 A well rounded cattle and hay operation, the JK Ranch represents a turnkey package. 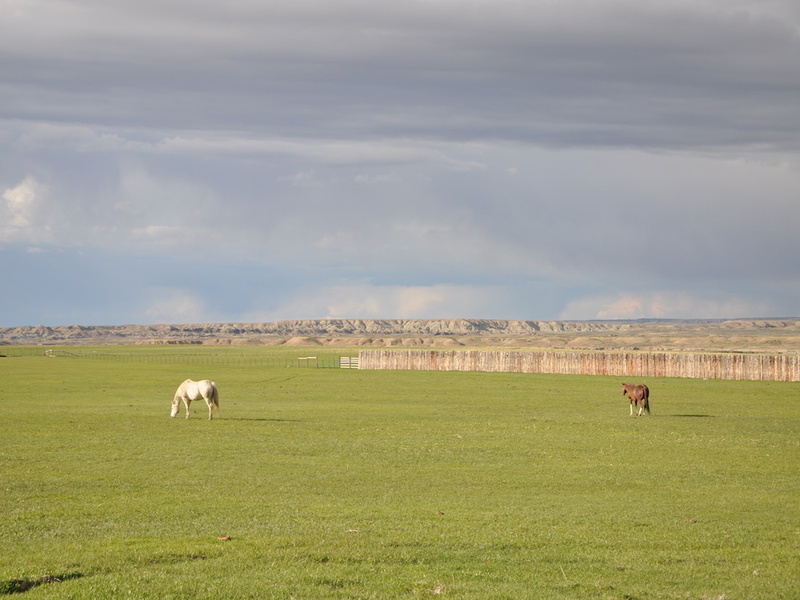 In addition to the deeded acreage there is also an 800± acre BLM lease, all of which is contiguous to the main ranch, providing additional grazing opportunities for 200± AU’s for 4 weeks. 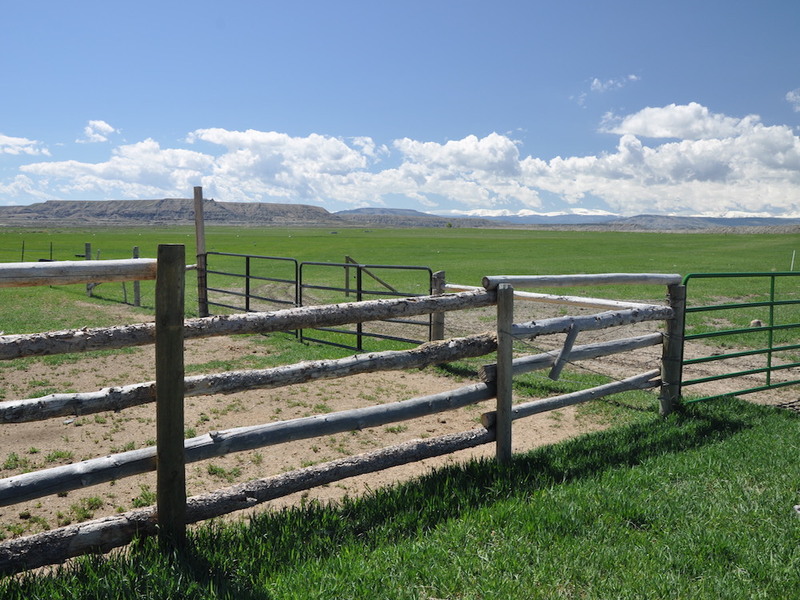 A well maintained set of corrals, complete with alleys and separate paddocks, provide excellent handling facilities for sorting and shipping cattle. A calving barn is located next to these facilities and offers shelter during calving season, as well as serves as a calving hospital when needed. Other ranch improvements include a recently remodeled 2 bedroom/1 bath manager’s home and insulated shop complete with a woodstove. An older trailer located next to the manager’s house is in good shape and serves as short-term housing during busy times of the year when additional hired hands are needed on the ranch. Stock water tanks and ponds are strategically placed throughout the ranch in order to utilize all available pastures for grazing rotation throughout the year. One of the focal points of the ranch is the custom 3 bedroom/3 bath, 2,700± sqft owner’s residence which was completed in the fall of 2015. The home boasts high end features including radiant heated concrete floors, high end window package and hardware throughout. A large open great room with center piece fireplace adjoins the kitchen and dining room and provides the ideal setting for family and friends to gather. Bonus rooms include a mudroom and an office. There is a 730± sqft garage which has two bays for vehicles, as well as additional storage space for toys and gear. 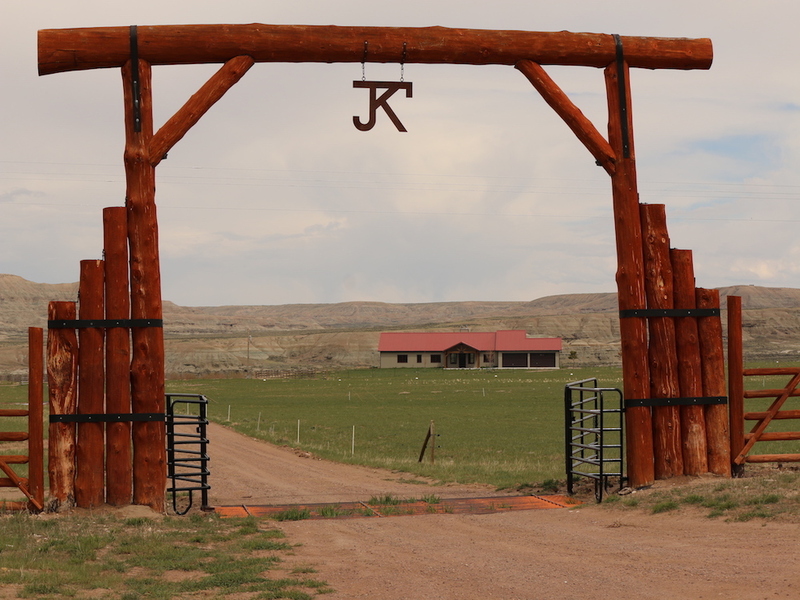 Located in an area rich in Wyoming history and agriculture, the JK Ranch offers a rare blend of production diversity seldom found in a western cattle ranch. Ownership and control of the 100 surface acre Reed Reservoir and its substantial holding capacity will ensure irrigation water throughout the season. 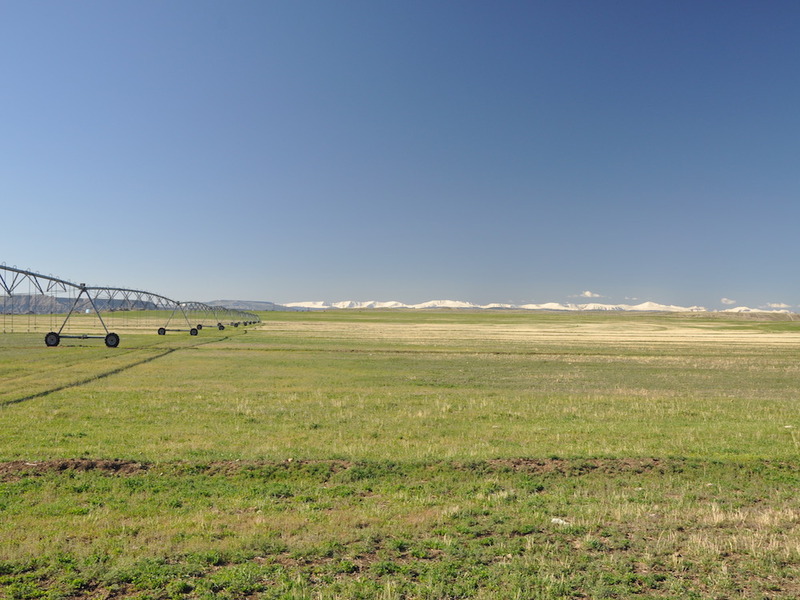 Combine these excellent water rights with efficient irrigation infrastructure, well maintained ranch improvements and outbuildings and adjacent grazing leases; the JK Ranch represents one of the finest cattle and hay operations available in Wyoming today. Bidders will have the opportunity to place a bid on an individual parcel, combination of parcels, or the entirety. The remaining 260± acres surrounding Reed Reservoir will be conveyed to the buyer of parcel #6. Bidders will be offered an opportunity to bid on this Uinta County land in individual parcels, combination of parcels, and / or as entirety (please see the interactive map below). Please contact our office at 256-543-1654 or info@albertburney.com if you would like to receive additional information or schedule a personal property tour with a member of our auction team. 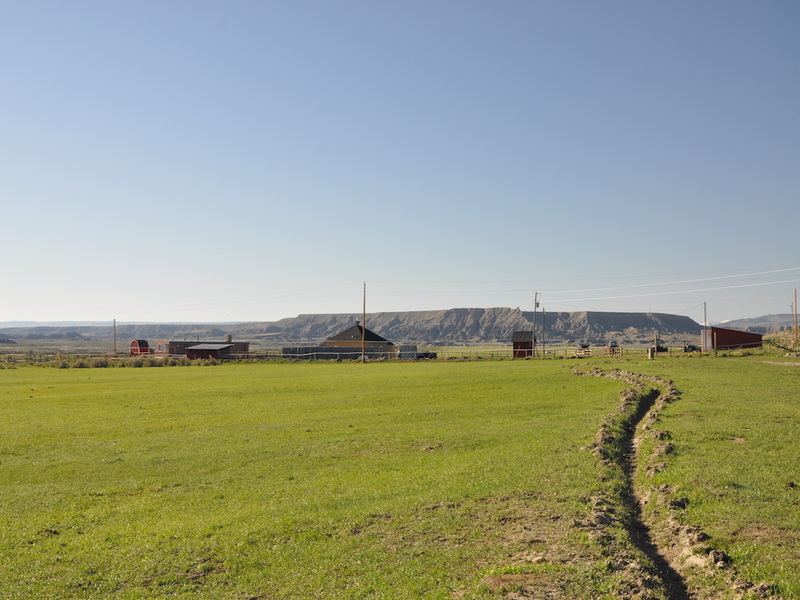 JK Ranch is easily accessible on/off I-80 located in Uinta County, WY. This property is being offered in cooperation with Live Water Properties.